After you have built a very a beautiful house or office, the next thing that one thinks of is probably how to make the floor as beautiful as possible. This is something that every person wants, since you do not want to have a house or an office that’s very unattractive on the floor. Wondering what you can use to make your house or office floor more attractive? A wall to wall carpet is among what you may need to make your house, office, guest house and even hotel complete. Do not furnish your floor just because it is a necessity, but rather equip the floor with classy carpet that can be complimented by interior decoration accessories. 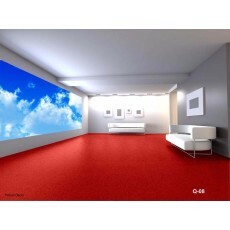 Bright red carpet is used to enhance the aesthetic value of a house or office, to make it look more elegant and executive. The reason why you should look for a reliable shop that sell quality carpets at affordable prices.